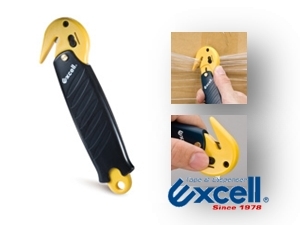 Utility Knife for special Hook nose for cutting plastic film – especially Pallet wrap / Stretch film. Heavy duty plastic moulding for extra strength. The blade slides when pressure is applied allowing it to slice through even thick layers of stretch film. The hook nose ensures you do not pierce the cartons (as you would with a Kraft Knife). 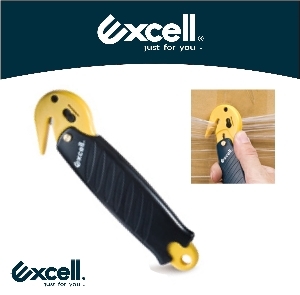 an added feature includes a small retractable blade for cutting carton tape.